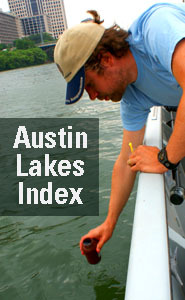 Lake Austin, Lady Bird Lake, and Walter E. Long Lake are man-made reservoirs (that are also known as lakes)! A reservoir can be a natural system but the term is typically used for enclosed areas that are storing water for a purpose. In Austin, our reservoirs help generate electricity, provide flood protection, supply drinking water, provide cooling at the power plant, and provide many recreational opportunities! Collectively, the created reservoirs are providing ecosystem services that would not be realized if the Colorado River were flowing naturally. And because the reservoirs are man-made and regulated, they function in manners that differ from ‘natural’ lakes. Meaning - the physical, biological, and chemical make-up and functions are unique, distinctive, and very sensitive to everything we do! This page will include information on current biogeochemical conditions, management activities, rules and regulations, and other things reservoir-related to keep you informed about these precious resources. 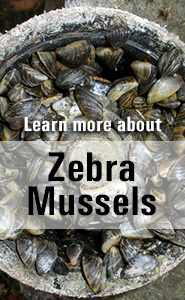 Visit the frequently asked section to read more about water quality conditions,current studies and management activities concerning the reservoirs, dock ordinance changes and more.